Tue., Feb. 9, 2016, 3:05 p.m.
SEATTLE – Along with a renewed excitement around the surprising success this season for Washington has come a soundtrack. Whistles. Lots of whistles that at times have drowned out the energized crowds out to see the young and exciting Huskies, who sit in fourth place in the Pac-12 more than halfway through the conference season. Washington has seen 40 players foul out in 23 games. That’s the most in the country and not by a small margin. The next closest is Northern Colorado with 23. And the Huskies are starting to tread into record territory. According to STATS, only two other teams in the past 20 seasons have had 40 or more players foul out in a season. Siena had 43 in 2013-14 and Bowling Green had 41 in 2005-06. Right behind that pair is Washington. But with seven regular season games remaining – beginning Wednesday night at Utah – and at least one in the Pac-12 tournament, the Huskies are likely to set a new mark. Not necessarily the kind of record they were looking to set before the season began. Therein is the crux of Washington’s problem. They have returned to the aggressive, attacking style on both ends of the floor that has made them successful under Romar’s tenure. Part of that is constantly switching assignments on the defensive end because the Huskies’ athleticism allows them to guard nearly anyone on the floor. Freshman Matisse Thybulle, at 6-foot-5, has often found himself guarding players in the post with a 6-inch height advantage. Same is true for athletic forward Marquese Chriss, who often ends up outside trying to stay in front of shorter, shiftier guards. But in a season in which an emphasis was placed on officials calling even the slightest hand checks and bumps, the Huskies have struggled with being overly aggressive at times. According to STATS, 167 teams in the country have had fewer than 10 foul outs during the season. Michigan, which plays in one of the more physical conferences in the country, has yet to have a player foul out this season. Meanwhile, Chriss has fouled out 12 times himself, including eight in conference play. “We are a different team with Marquese in the game, there’s no question about it,” Romar said. As much as fans enjoy deriding Pac-12 officiating, this fouling issue is mostly isolated to the Huskies. Eight of the 12 teams in the conference go into this week with fewer than 10 disqualifications. The Pac-12 is ninth in the country in total personal fouls called and sixth in total disqualifications, although those numbers jump to seventh and third respectively when accounting just for conference games. 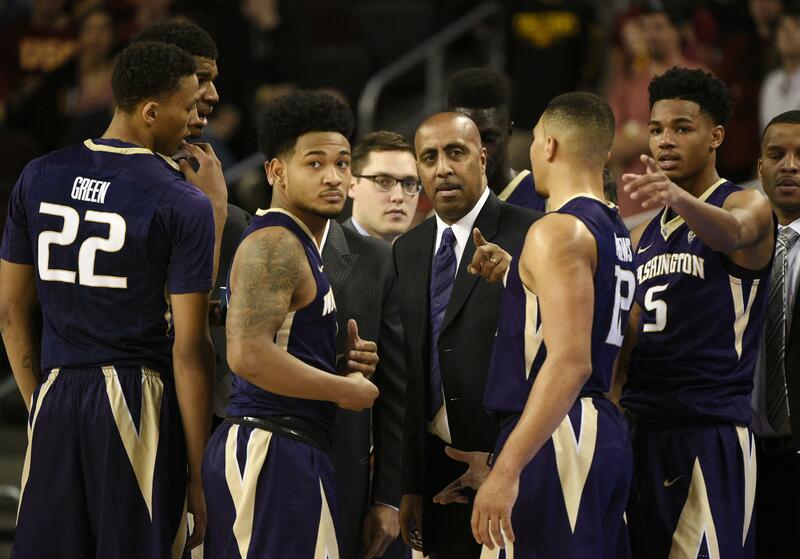 So far the Huskies have been able to find success despite the foul problems. Published: Feb. 9, 2016, 3:05 p.m.